California Coalition for Families and Children and activist attorney Marc Angelucci have recently published a draft amicus curiae brief for submission to the California Fourth District Court of Appeal in case D057480, the appeal of the San Diego County Superior Court Case No. 37-2008-00093885-CU-BT-CTL in which Judge Jay Bloom sided with the corrupt family law courts and disreputable Dr. Stephen Doyne, one of the court’s favored 730 child custody evaluators, by ruling that Doyne is immune from suit and one of his victims, Dr. Emad Tadros, should pay his legal fees. Dr. Emad Tadros caught Stephen Doyne using what are credibly alleged to be fraudulent credentials issued by a “diploma mill” style organization. Evidence of this is shown in documentation regarding Doyne’s credentials. This is just the tip of the iceberg in the growing allegations against Doyne and many other San Diego divorce industry profiteers. The Public Court features a helpful write-up of the credentialing con involving Doyne and other custody evaluators purchasing credentials from diploma mills in what appears to be a plan to enhance their reputations as expert witnesses and psychological evaluators. This is not just a San Diego problem, it is nationwide. CCFC and Angelucci are looking for members of the public who understand the abusive conduct of many of the 730 custody evaluators in San Diego County to sign the brief in support of the notion that nobody should be above the law, not even the divorce industry “professionals” favored by the corrupt judicial officers on the bench in San Diego. Angelucci explains the current dire situation in the letter soliciting public support for the brief. Associates of the California Coalition for Families and Children have launched the new website The Public Court. The site is focused on the violations of law and justice in San Diego family law courts and how the divorce industry is causing immense harm to children and parents. One of their initial articles concern the ill-reputed child custody evaluator Stephen Doyne and his questionable credentials obtained from a diploma mill that has issued similar credentials to a pet cat of psychologist specializing in cults who sought to demonstrate how easy it is to obtain impressive sounding credentials. Another concerns an impending amicus curiae brief in ongoing litigation against Doyne and abuse in the San Diego family law courts involving child custody evaluators. As we reported in our story San Diego Judge DeAnn Salcido Demeans Litigants and Justice to Create Demo Videos for Her Proposed TV Show a few weeks ago, San Diego family law judge DeAnn Salcido has been under investigation by the California Commission on Judicial Performance (CJP) for numerous corrupt and abusive practices including using her courtroom to jump-start a career move into television. It appears she’s realized she is the judicial equivalent of thoroughly burnt toast because as part of her misconduct, she angered other corrupt and abusive San Diego judges who have friends in the CJP by her attempts to pose as a “reformer” to draw fire away from her own actions. She aimed to position herself as a “reformer” against Judges Peter Deddeh and Peter Gallagher by taking advantage of the child molestation crimes against Amber DuBois and Chelsea King by John Gardner. On November 10, 2010, Salcido announced she is resigning from her position. The resignation is part of a deal with CJP to avoid a public hearing on her misconduct in 2011. By resigning and accepting censure by the CJP, she avoids increasing the public embarrassment she already faces for her appalling conduct. 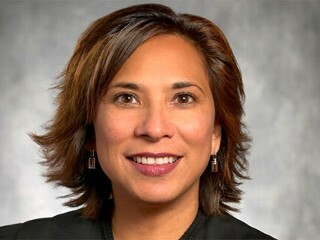 California citizens, particularly those in San Diego, should accept that Salcido’s resignation is largely not the result of CJP’s actions itself. 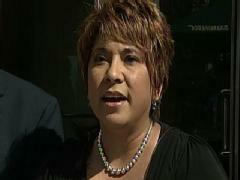 CJP hid the investigation of Salcido until after the election in June 2010, enabling Salcido to win re-election. This is a standard practice for CJP. The organization does not operate in the public interest, as is clearly evidenced by how CJP has failed to send judicial criminals packing in the past. For instance, both felony-plea-bargained-to-misdemeanor convicted criminal Judge Peter McBrien and convicted drunk driver Judge Lisa Schall remain on the bench despite repeated CJP investigations against each of them. What killed Salcido’s career as a judge is not her abuses, crimes, and misconduct. Such actions are routine for California judges. Her fatal offense was going up against other judicial officers by daring to file a lawsuit against them for their actions in a publicity stunt designed to deflect attention from her own behaviors.